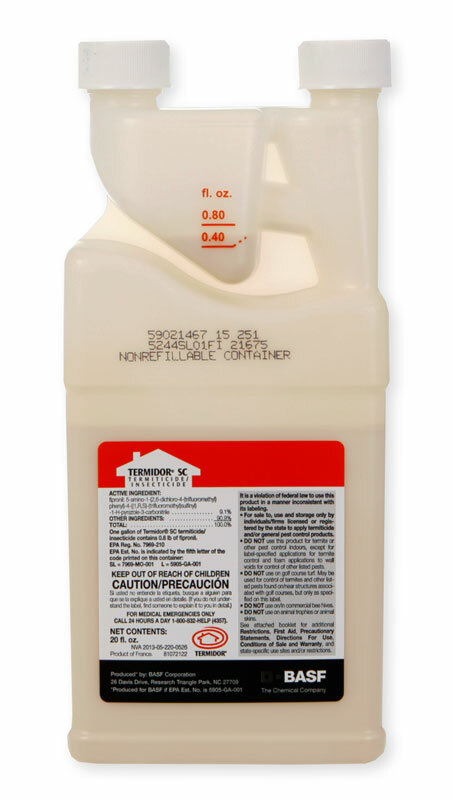 what is the best pump/sprayer to apply termidor SC through holes drilled in concrete around a house? Do it yourselfer. I understand the process but not sure about the best equipment. Can the termidor be gravity fed or does it have to be injected? Thats a double sided question. Depends on if you are a professional or a do it yourselfer. Let me know and I can help either way. It can be poured through a funnel. There really is no do it yourself solution for this application. The best thing to do is to get a transmission funnel and stick it in the hole. Pour roughly 1.5 gallons of mix through each hole (if drilled every 18" or so) and then securely plug the hole by either using a superplug or a small piece of paper towel and pushing it down about 1/2", Then using a small dab of wet cement, patch the hole and smooth it out with a wet rag. Be sure to sweep up all the holes before you treat and patch them. Hope this helps.